When it comes to your training, knowing how to target muscle groups is crucial. After all, if you don’t know how to train a muscle group, how will you be able to effectively plan your training routine? Not only that, if you don’t know how to target a muscle group, you may not be able to perform the exercise as effectively as possible. Let’s cover the basics of this topic, the fundamentals that you need to know, then we can build out from there. First if all, we need to know what we have to do in order to actually move or use the muscle. This would be referring to the use of their insertion and origin points. Secondly, we need to be thinking of exercises that check a few things off the list. The first being, the ability to train a muscle through its full range of motion, and secondarily, being able to apply progressive overload. Lastly, we need to think of exercises that have a place within a workout where they can be used effectively, and for different goals. Exercises that are capable of properly targeting a specific muscle/muscle group, and check off the 3 boxes, will likely be ones that are effective at training/targeting a particular muscle group. To put this all into context, let’s take the squat for example. If we think about the major muscle worked in the squat, we have the quads. 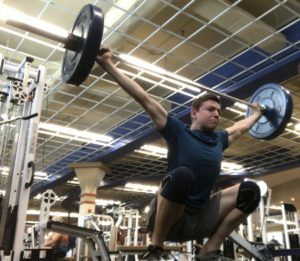 With all four main quad muscles inserting at the knee and originating at the hip, and the squat utilizing these joints, we know this exercise can be capable of effectively targeting the quads. Seeing as it uses full knee flexion and extension, we can effectively target 3 of the four quad muscles. There is one muscle that the squat doesn’t do the best at targeting, as it originates at the hip, in addition to the knee insertion. This prevents the muscle from fully lengthening or shortening due to the nature of the exercise. However, the squat is an amazing exercise at targeting the quads overall! So we know the squat can effectively target your quads, however, does it check off the three boxes? First of all, let’s look at the ability to train the squat with a full range of motion. In the squat, we are able to go into full knee flexion, and extension, and utilize the hip joint as needed. This allows us to train the movement through a full range of motion. So the squat has a check beside its name for this. Next, let’s talk about progressive overload. The squat is a main, compound movement that uses many muscles which work effectively together. This, in turn, allows us to load this exercise up quite heavy and easily apply progressive overload. You can also effectively train the squat through a variety of rep ranges, which is also important for progressive overload. Because of this, the squat is great for applying progressive overload. Lastly, we have the icing on the cake, having an exercise that is able to effectively fill a role within a workout, and for different goals. The squat is most effective when implemented as a primary exercise at the beginning of a workout. This is great for laying the base of your workouts which allows for a fluent transition of exercises. All 3 boxes checked for the squat! When it comes to building an effective routine to target different muscle groups, there are a few things to consider. Our primary focus should be knowing our goal, whether we are trying to train for strength, hypertrophy, power, etc. Secondly, we need to think about what we are trying to work on/target within the specific workout. This will be relative to your goal, for strength, you may be trying to improve your squat on a leg day. Or for hypertrophy, maybe you’re wanting to work on building your upper chest. Lastly, we need to think about how we are going to implement these exercises to effectively target the desired muscle group. Knowing these things will allow us to pick exercises that we can effectively implement within our routine. Keep in mind, this is strictly talking about building the routine itself to target a muscle group, of course, you need to be including the obvious things like a proper warm up. To put this into context, allow me to give you an example, let’s look at a chest and triceps workout with the goal of hypertrophy. For chest, consider starting with a main, compound movement that you can apply progressive overload to. Then pick another movement that works on a different aspect not targeted from your primary exercise. Next, you may want to pick an exercise that targets something specific to you and allows for some good volume. Lastly, pick an exercise that can finish off your chest and get you ready for the triceps portion. Kicking off the triceps portion of the workout, consider performing a primary movement that you can apply progressive overload to. Then, depending on how many exercises you want to do, maybe do a superset to focus on a couple different parts of the triceps. Again, with all of this, you want to be picking exercises that are effective at targeting the given muscle group. However, not all exercises will check off every single criteria for an effective exercise to target a muscle group. Some exercises will only check off some of the boxes and that is ok as we need some of those exercises. 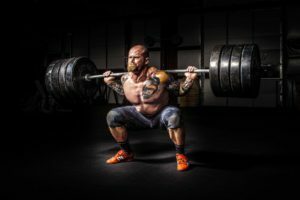 After reading this article, you have an understanding of the criteria for exercises that will effectively target a muscle group. With that knowledge, you also know how you can implement them within your routine to fit your goals and effectively apply them. I thank you for taking the time to read this article, and look forward to you being able to benefit from this information! As always, if you have any questions or comments please do not hesitate to leave them below and I will be sure to reply! Hi Kohl! I have wanted to target muscle groups effectively but just didn’t feel I had found the right training. And I know I lack experience. I’m glad I found your post. It has been very helpful! From here on, I’ll focus on my goal. I want hypertrophy, so I’ll follow your advice in that direction. And I’ll pay close attention to the implementation of these exercises. Could you give me an example of 3-4 excersises for triceps portion? Thank you in advance. Hi Henry, glad you found the post helpful! Keep in mind, with the examples given, those are guidelines to give you a good idea and put the information into context. Not exactly what every person should be doing. A few good exercises for the triceps would be: close grip bench press, skull crushers (don’t mind the name, haha), triceps pushdown (can also use a reverse grip for the pushdown). Be sure to perform all exercises with proper technique and weights. 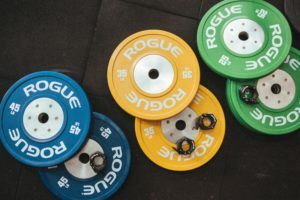 This is a great article that was really helpful in explaining how to properly determine if an exercise is hitting all the right criteria and how to combine it with others if it’s not. I think so many people hit the gym with no agenda and end up not getting great results they want because of that. Do you feel that most people can learn to set up a proper routine by themselves or should get a trainer to help them? Glad you found the article helpful! Just getting in the gym and working out as a beginner would still yield results as they would be extremely responsive to any stimulus. However, as you become more advanced, more structure can be beneficial to keep seeing results. As per your question, I feel with the proper research, you could build your own routine. Sometimes as a beginner it can be beneficial to have a personal trainer if you’re looking for structure, or if you want to keep developing as you become more experienced and don’t know how. For me personally, I started developing my own programs around 2 years in, and it has been extremely beneficial!